Magical Unicorn Memory Match: Cut apart both sets of cards. Place the cards face down and play a game of memory match. Unicorn Hunt: Only cut apart one set of cards. Hide the cards around the room. The child has to find the cards and match up on the main board. 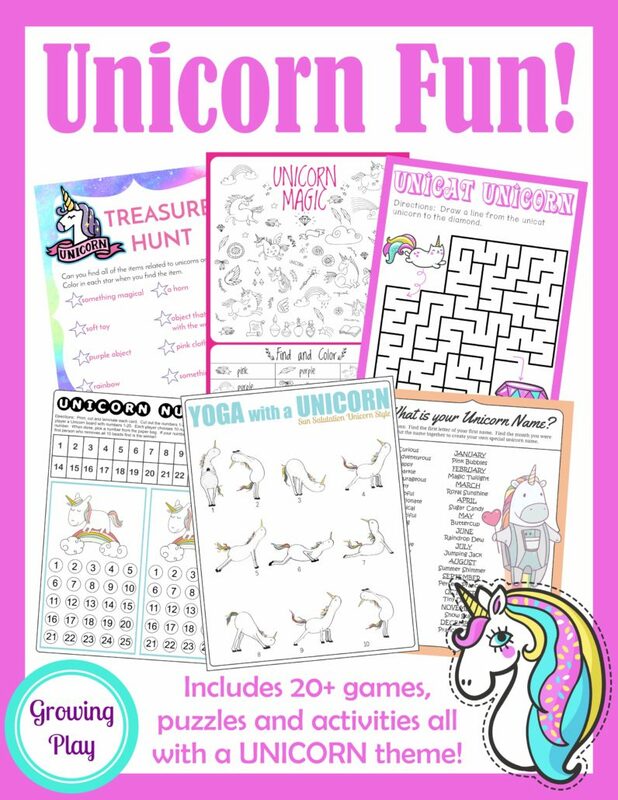 Create a collage: Cut apart the cards and glue onto a large poster to create a magical unicorn poster. Give to a friend: Cut apart the cards and share with a friend. Looking for more games to play with cards? Check out all of the Growing Play card sets including Mini Movement Breaks, Secret Agent and Set the Record. Illustrations for matching game created by Yulia Bikirova and used under a Shutterstock license. 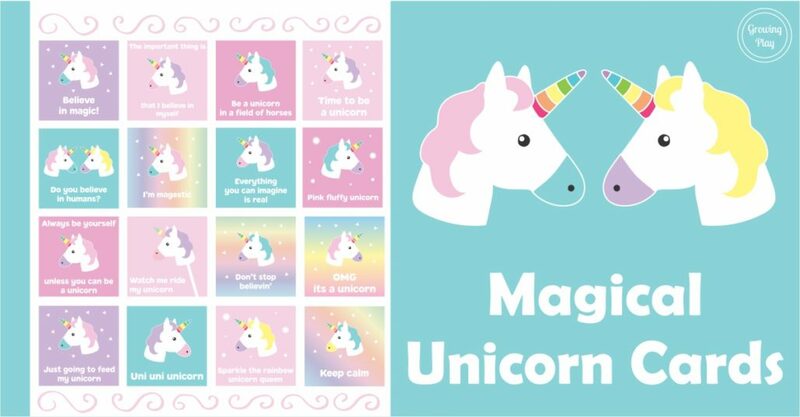 You can download your FREE Magical Unicorn Cards by submitting your email to receive our newsletter to stay updated on the latest freebies, activity ideas and more!